Though it seems like only yesterday that songwriter Robert Lopez joined the EGOT club — because it was, in 2014, when he won the Oscar for Frozen’s “Let It Go” — he’s now in a league of his own. 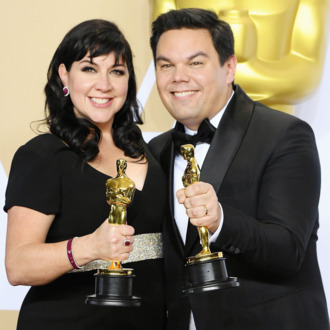 On Sunday night, he and his wife, Kristen Anderson-Lopez, won Best Original Song for Coco’s “Remember Me,” making him the first person in history to complete the EGOT for a second time. He now has two Oscars, two daytime Emmys (for Wonder Pets), three Grammys (for Book of Mormon, the Frozen soundtrack, and “Let It Go”), and three Tonys (two for Book of Mormon and one for Avenue Q). Lopez was already the youngest, at 39, to ever complete the EGOT the first time around; he’s now 43, meaning it only took him another four years to do it all over again. What have you done with your life?